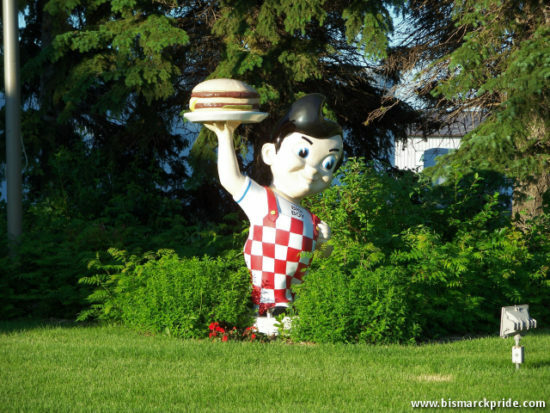 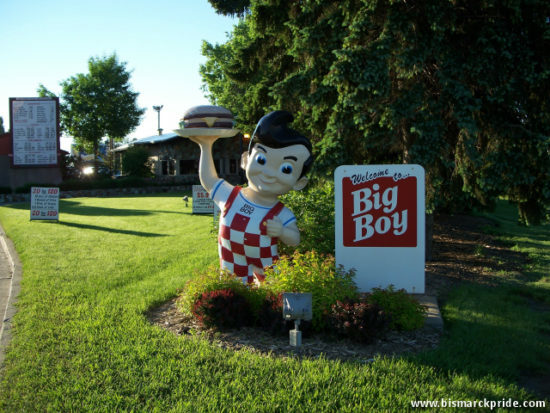 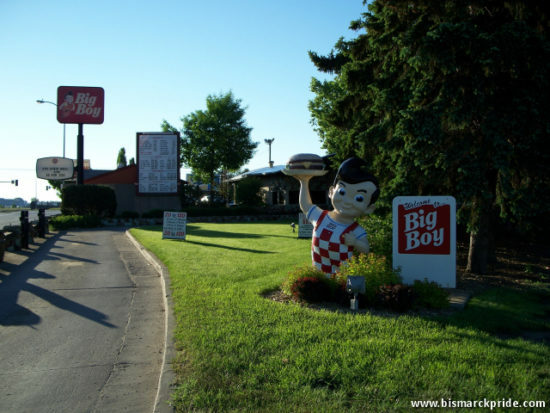 Bismarck’s Big Boy Restaurant is unlike any other in the chain, with its unique menu offerings that include Hot N’ Tots and Pizza Burgers “Flying Style”. 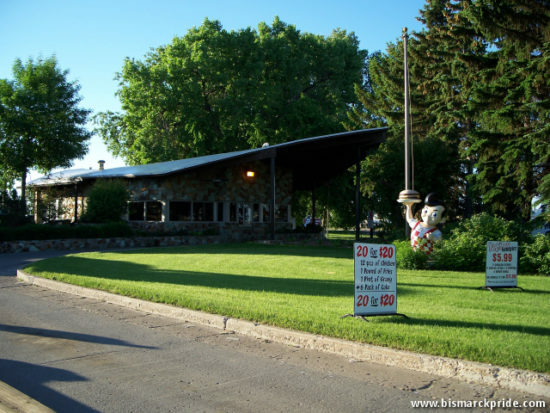 The restaurant is also noted for being drive-through only – there is no indoor seating, however there are picnic tables in the back. 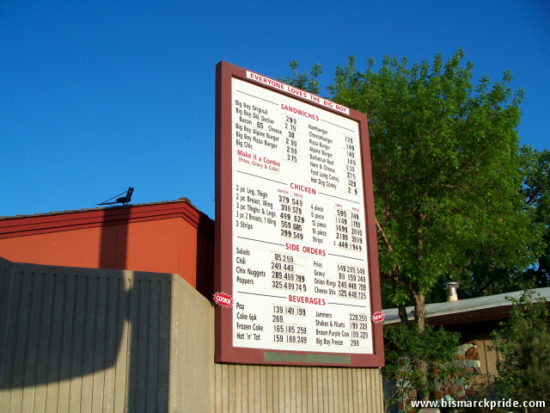 Due to its popularity, especially amongst out-of-towners, the restaurant imposes a “limit of 45” on its items – a phrase often featured in its advertisements. It was Bismarck’s first drive-in restaurant. 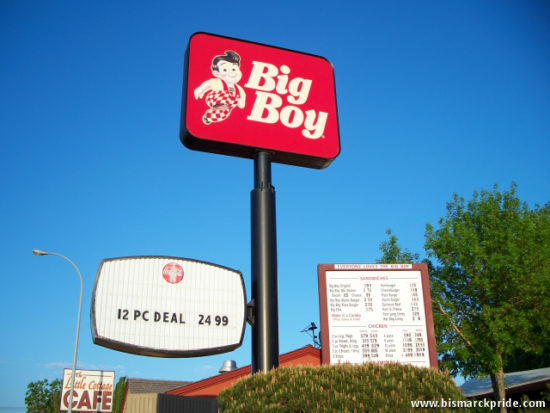 At one time, Big Boy also shared a location with KFC, however its owner was forced to drop the KFC franchise in the 1970s due to conflicting interests for also owning the Big Boy franchise. 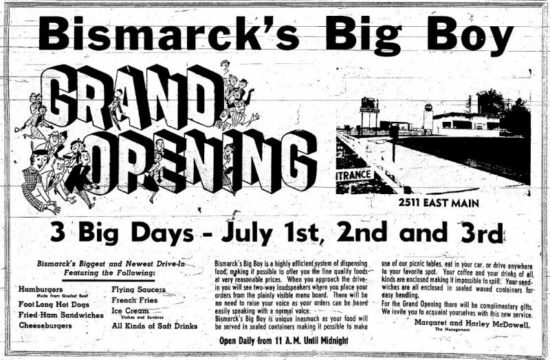 Grand Opening Announcement from July 1, 1954.